Since selling Spoke three over three years ago now, I don’t really get the chance to shoot much product. Well I still shoot a bunch of bikes but most of them are on white and in a studio. When Elliot’s latest care package showed up from the nice folks at Giro Cycling well I couldn’t help but shoot the stuff. Looking down from my office I liked the way it was all still sitting in the large cardboard box, why not just shoot it that way, I have done something similar in the past, when I made a huge backdrop out of used boxes, but this setup was a little more simple. I’m pretty stoked with the results. I didn’t want to do any detail shots and have tried to capture each of these items in one shot, which I think for the most part has worked. I just wish I still rode flats so I could get a pair of these shoes! 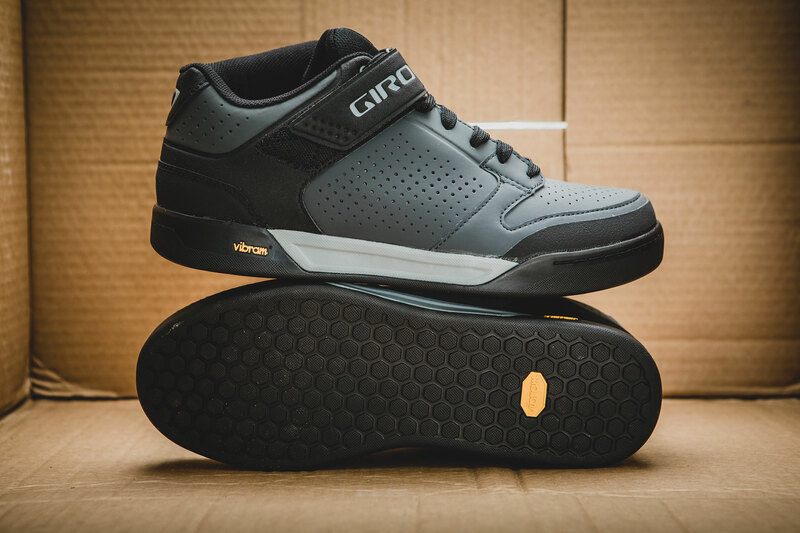 Giro’s new Riddance shoe has a completely new Vibram sole, in a shallower but larger hexagonal pattern than their previous flat pedal shoes. The uppers are solid and the mix of glued and sewn construction seems solid. 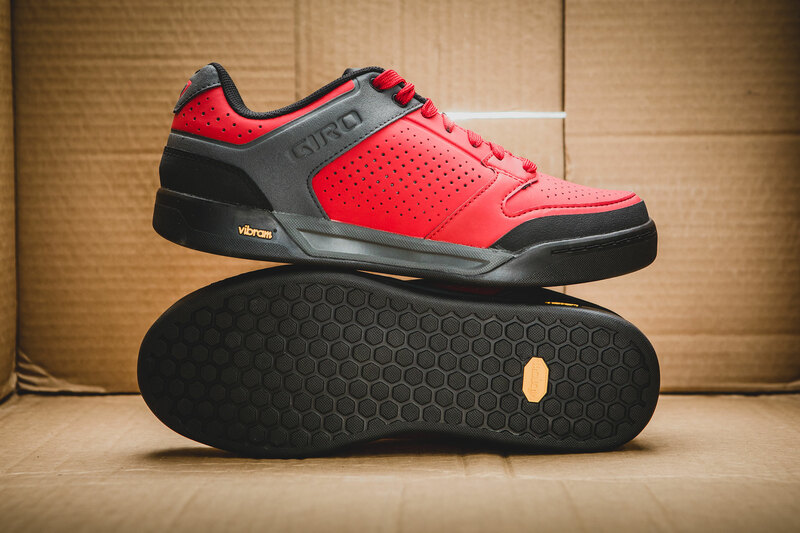 The Riddance shoe also comes in a Mid version. It features the identical sole to the low version but has an asymmetrical raised ankle protector as well as a strap. 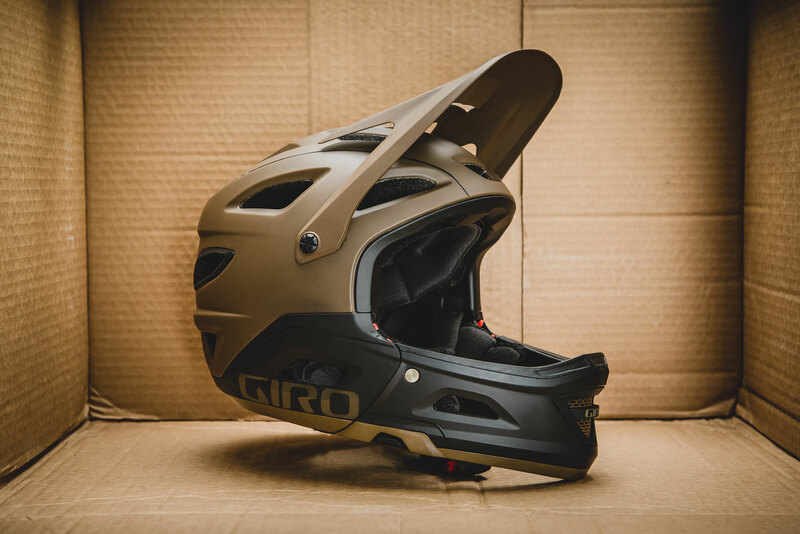 I used to ride in the Chamber Mids and the extra padding, protection, and retention were always welcome. Giro’s Switchblade needs no introduction. 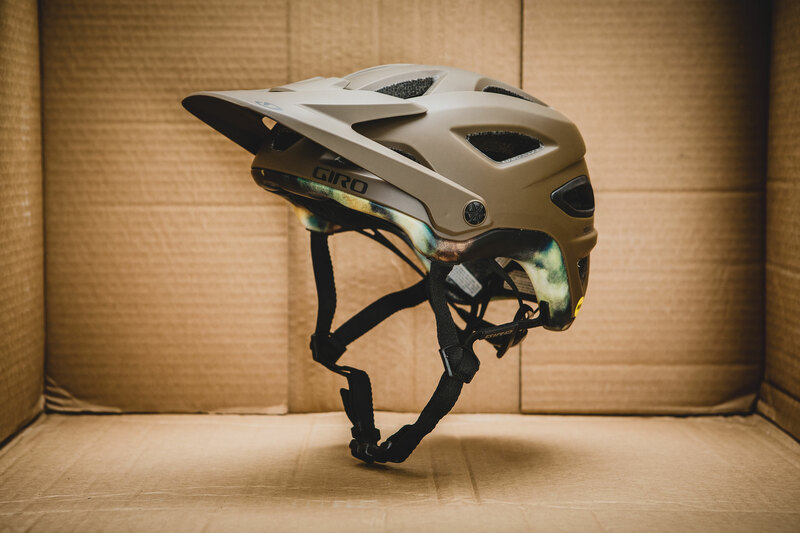 The helmet that made removable chin bars cool again. But this new 2018 Matte Walnut colour-way sure is dope. The Montaro is, in my eyes, the first worthy successor to the classic Giro Xen. Its been around since 2015 and it just ticks so many boxes. The Matte Walnut finish just makes it that much better.